Fall in West Virginia means sweeping landscapes of orange, yellow, and red, apple cider, festivals, and of course, pumpkin picking. 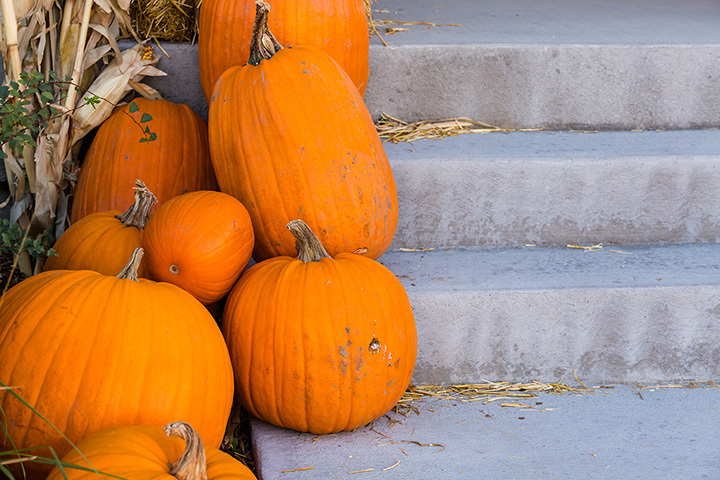 Your senses will be energized by being outside and there’s no better way to enjoy the great outdoors than by spending the day at one of these local farms, picking out that perfect pumpkin. Here are our favorite pumpkin picking spots in the state. You can walk or ride to the pumpkin patch to pick your own personal pumpkin. There’s an 18-acre corn maze guaranteed to provide an “a-maizing” time, and the chance to sit around an old-fashioned fire listening to stories and singing with old friends and new. If you don’t wish to pick your own pumpkin, there are plenty to choose from inside, as well as decorative gourds, hay bales, and other fall vegetables to take home. It’s fun for all! Looking for a fun fall activity for your family? Sunset View Farms in Ballard has wholesome entertainment for the entire family. Take a hayride, race a duck, bowl a pumpkin, make it through the corn maze, ride a train, and pet the animals. And don’t forget to pick up some tasty treats to take home along with your choice of pumpkins. Family owned and family friendly, Orr’s Farm in Martinsburg grows more than fresh fruit and vegetables. Once of the best pick-your-own spots in the region, they feature Spookey, the Square Pumpkin. Bring the kids to learn about Spookey, and while you’re there, enjoy a hayride, corn maze, photo opportunities, and great live music. There are several fall fun days and festivals featured at the farm, and the pumpkin patch opens the second weekend in September. Nestled in the sleepy little town of Sinks Grove, Morgan Orchard is the perfect place to take the family for a fall mini-vacation. You might consider taking your fall family photos here after you pick a pumpkin for your table or to carve into a scary porch sentry. Don’t forget to pick up a jug of fresh apple cider while you’re there. Yes, Old MacDonalds is really a farm and it’s located in Inwood, West Virginia. Complete with cows, goats, chickens, and other farm animals, this family-friendly farm has a pumpkin patch that provides herbicide free pumpkins. Great for decorating or making into your favorite pumpkin pie, you’ll be able to take a hayride with the kids or let them play in the kiddie corn castle for a “corny” time. Let the pumpkin picking begin! For good old-fashioned fun on the farm, visit Okes Family Farm in Cool Ridge. Large families and groups can get a discounted rate, too. Kids under five are free, and admission includes a wagon ride, corn maze, tractor train, rubber duck races, a 100-foot slide, and many other activities that will leave you laughing and having a great time. Pumpkin carving contests daily on days they’re open. Are you looking for the ultimate pumpkin experience? You have to make plans to attend the Pumpkin House in Kenova, West Virginia. The C-K Autumnfest takes place every year on the last weekend in October and is a great family event. There’s a bake-off and an amazing display of hand-carved pumpkins that will give you ideas on how to decorate your own. The stars of the festival are the pumpkins, though—about 3,000 around and on the house now known as the Pumpkin House. While you may not get to pick a pumpkin from the vine, you can purchase pumpkin products and baked goodies all weekend. Primarily a dairy farm, Higson’s in Wiley Ford has a bountiful harvest of pumpkins, gourds, and other fall produce. If you love celebrating this time of year, it’s a great place to pick up hay bales and corn stalks to compliment your outside decorating. You’ll get a welcome reception and feel like family right away at Town and Country Nursery in Kearneysville. This great little farm and nursery has fruits and vegetables from spring through fall from the sweetest strawberries to the perfect pumpkins for decorating or making pies. Forget stopping by the store on the way home. If they don’t have the fresh produce here you probably don’t need it.